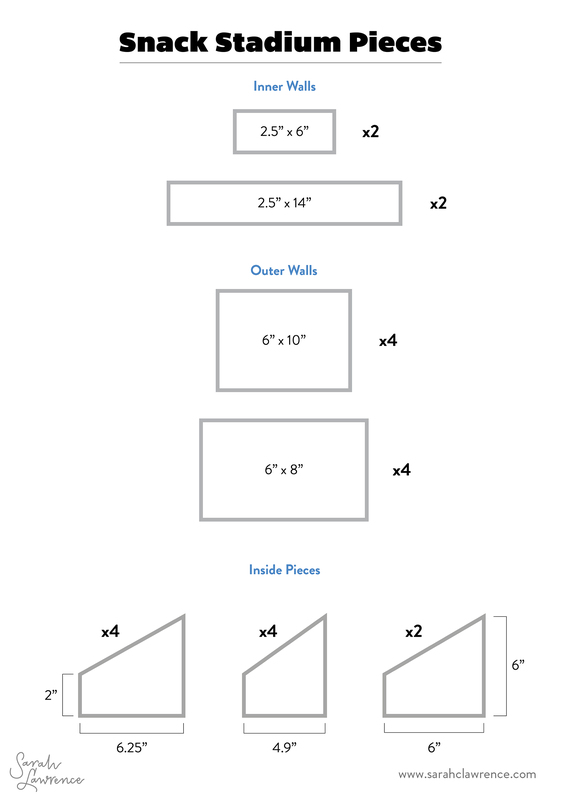 Here’s the diagram of how I laid out the walls on the foam core. 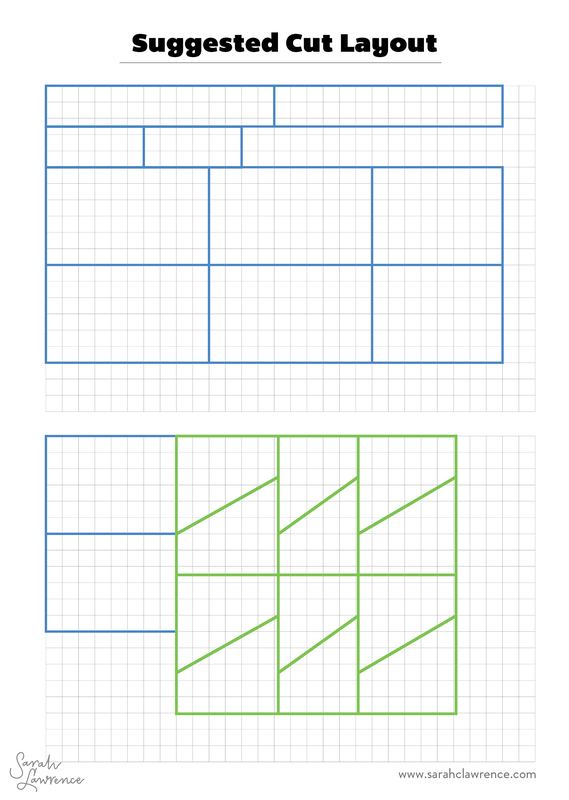 Each box is a 1×1″ square. 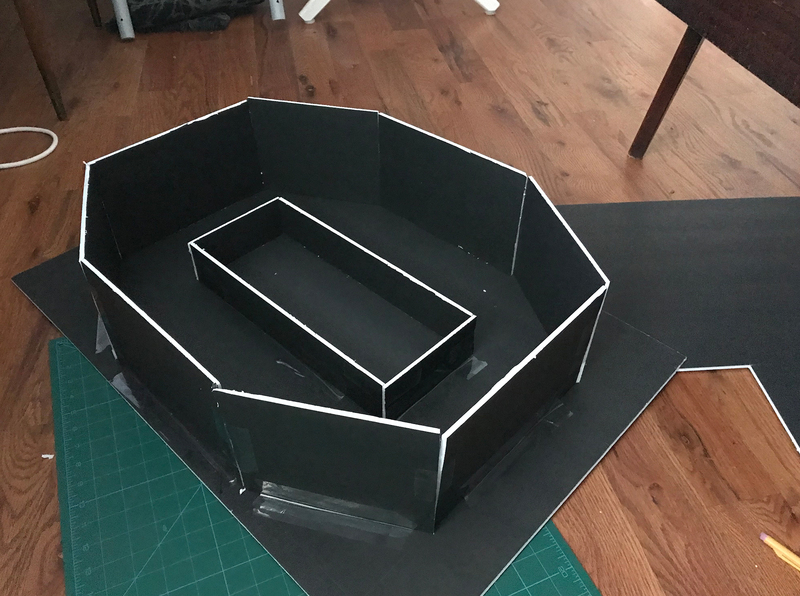 I built the project on a 20×30″ piece of foam core I bought from the dollar store (with two extra pieces for the walls). Gently draw the grid out in pencil on your base piece of foam core first. 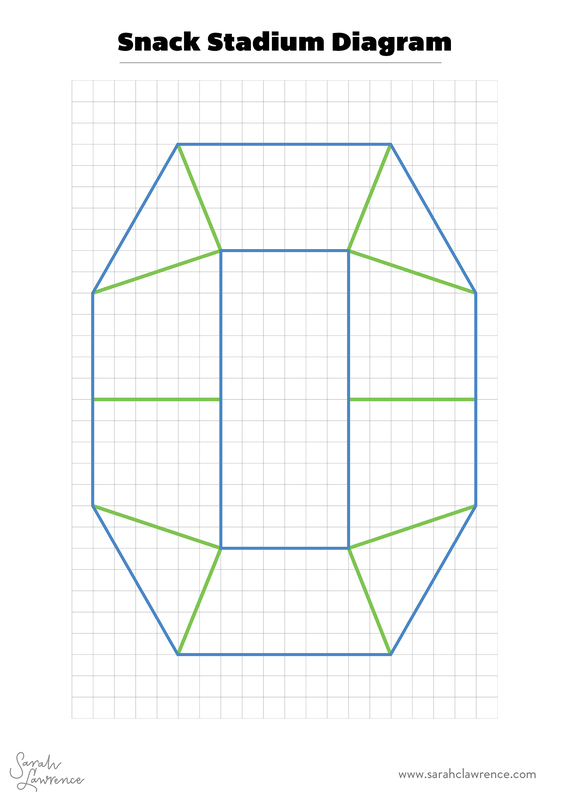 This will help you figure out where all of the pieces need to go, and you can erase the pencil later. Build the inner box (for the field) first. still lining up with the grid. 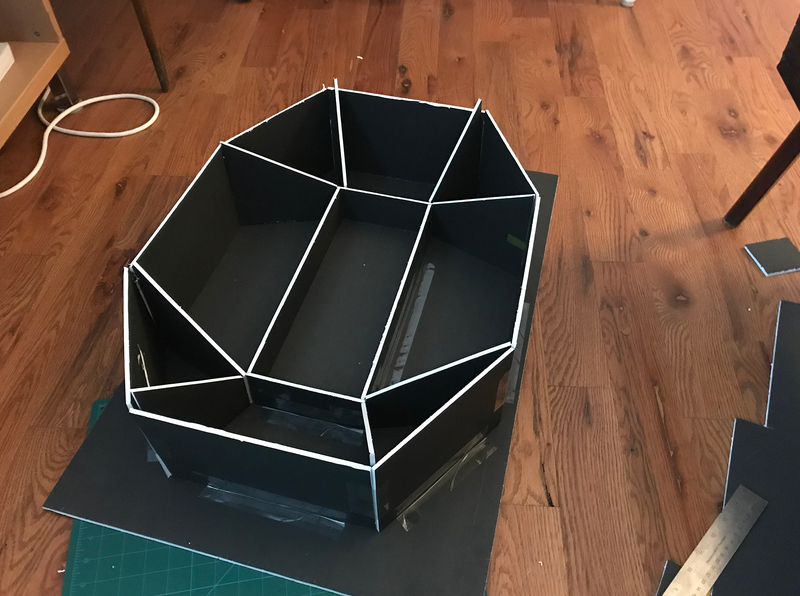 I had to dust off my Pythagorean Theorem to figure out the dimensions of the corner pieces and the interior! 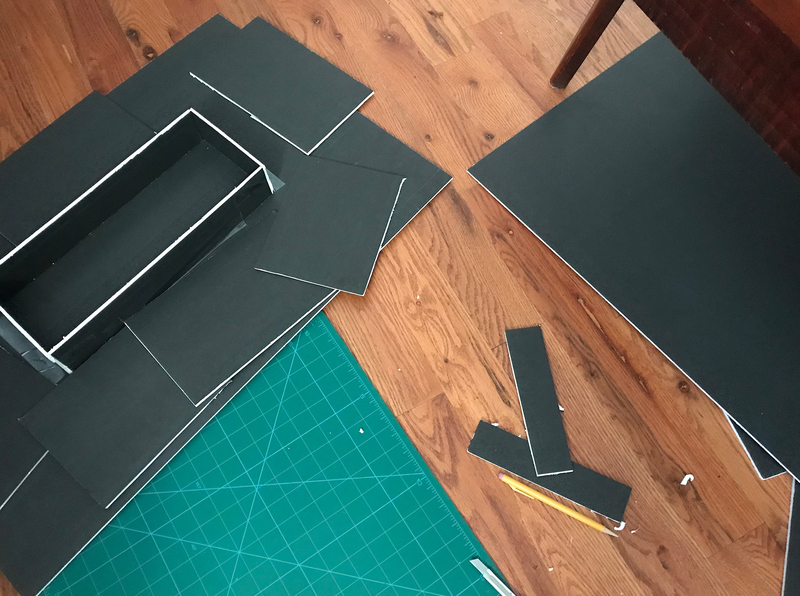 Build the outer walls next – you can adjust the connecting walls if your details are a little off. 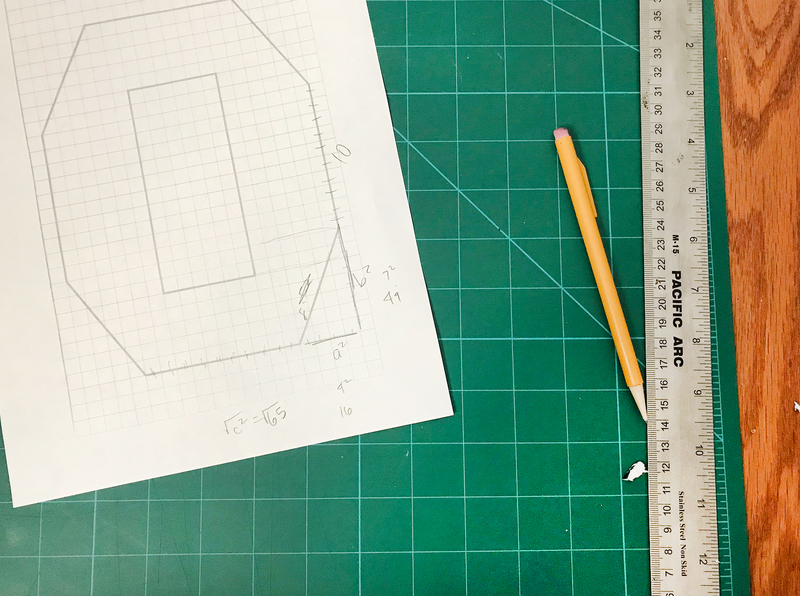 Once you’ve built all of the outer walls, double check your measurements. The inner walls should slot in snugly here, but if they don’t, trim to fit or cut some new pieces. 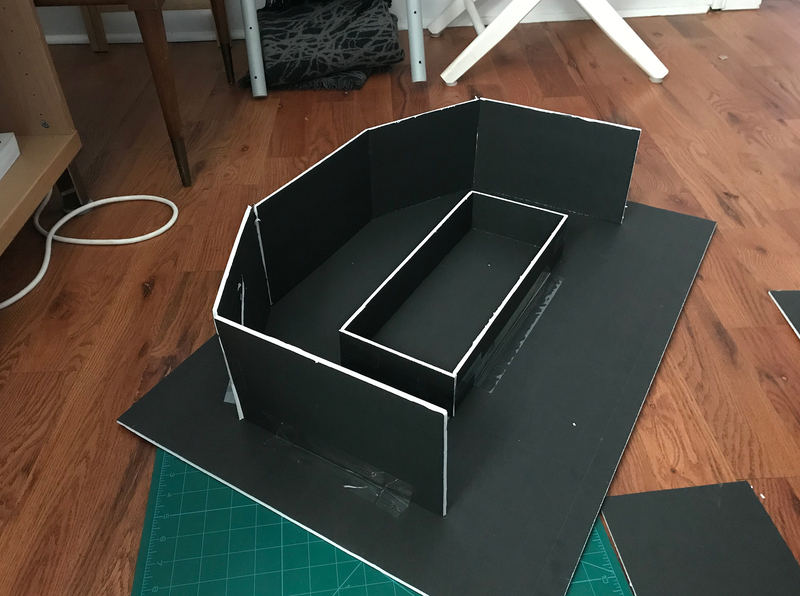 I hope you bought extra foam core! I ended up taking it way farther and customizing it myself to add some diecut field lines, pennants, and little hand-iced rolos for Xs and Os. I’m pumped to line it with aluminum foil and fill it with treats! 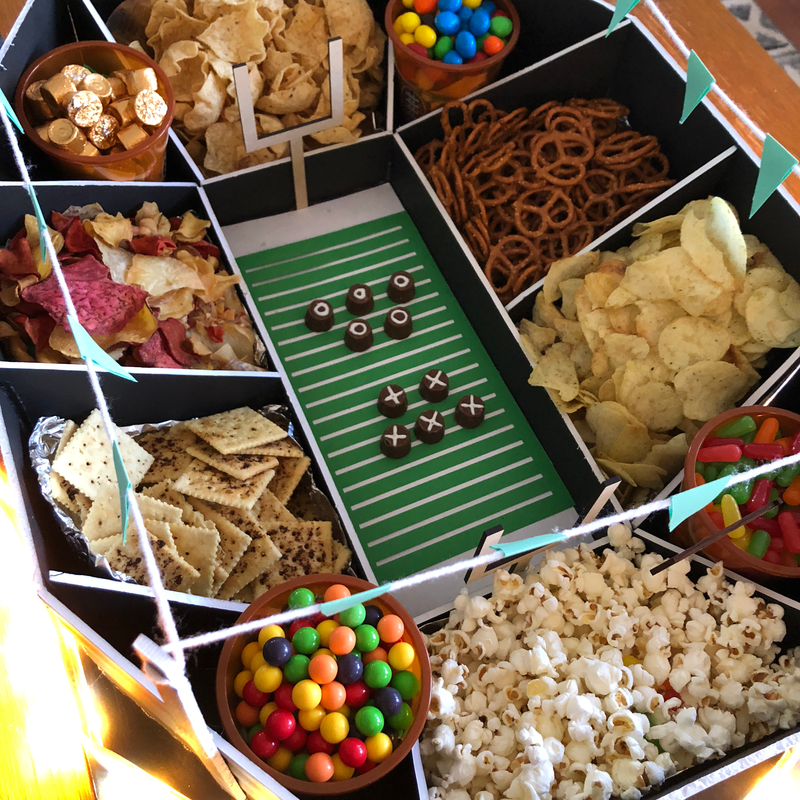 You still have plenty of time if you want to try making your own Snack Stadium before the Super Bowl! 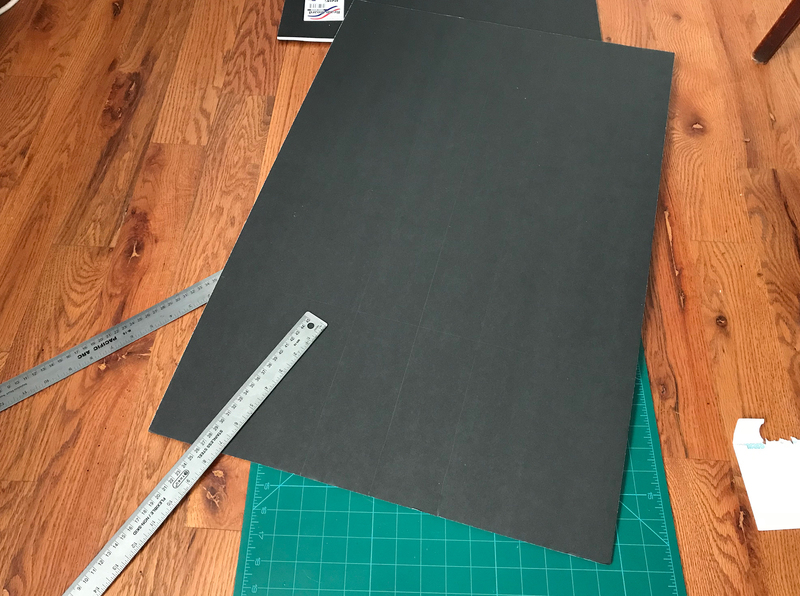 I kept track of my piece sizes and also since I ruined a lot of foam core trying to build this for the first time, I included an ideal layout on the foam core boards. But seriously, buy extra if you can. 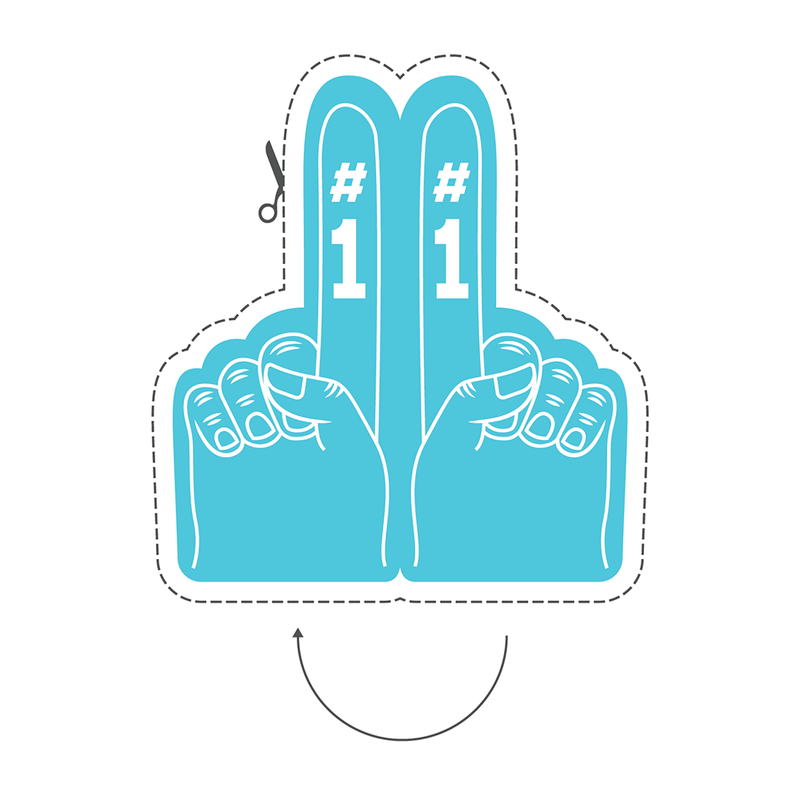 As one of the final touches, I made printouts of some little foam fingers (premade cupcake toppers exist but it seemed like a wild goose chase to find them), cut them out, and folded them with double-sided tape around a toothpick). If you want to make your own, here’s a free little downloadable! These were a big hit at the party! 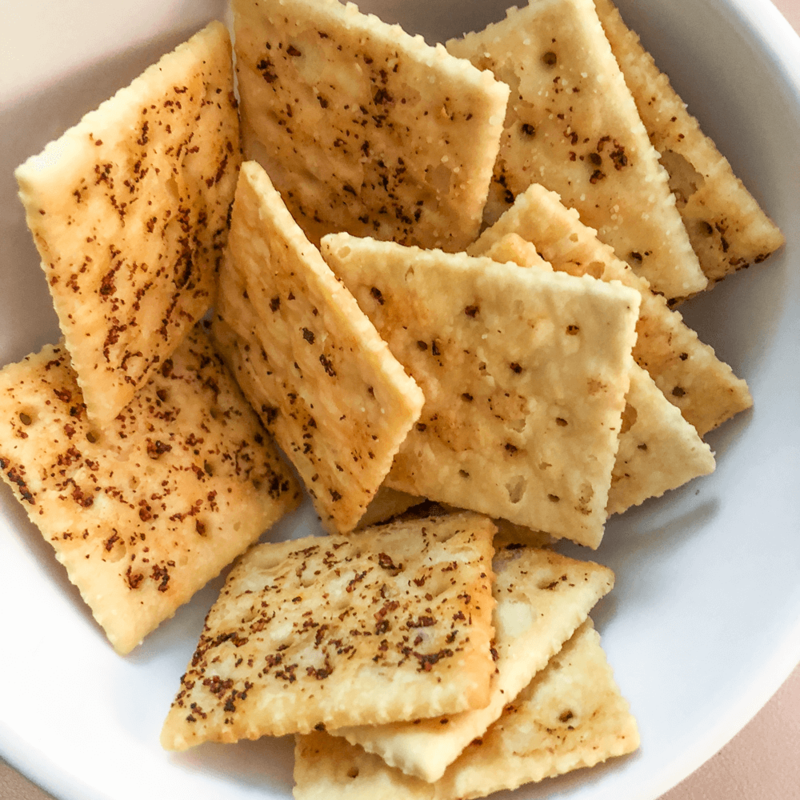 Dip a pastry brush in the butter mixture and paint it over each saltine – you should have enough mixture to cover all of them liberally, but start with small strokes and go back over a second time if you need to. Bake for ten minutes, let them cool, and then dump them into a bowl. 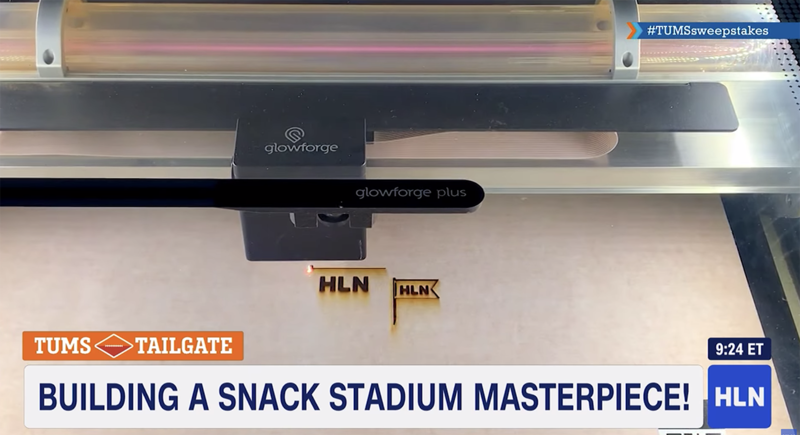 If you saw this segment on HLN, you might be curious what laser cutter I was using – it’s a Glowforge Plus, and I’m obsessed with it. 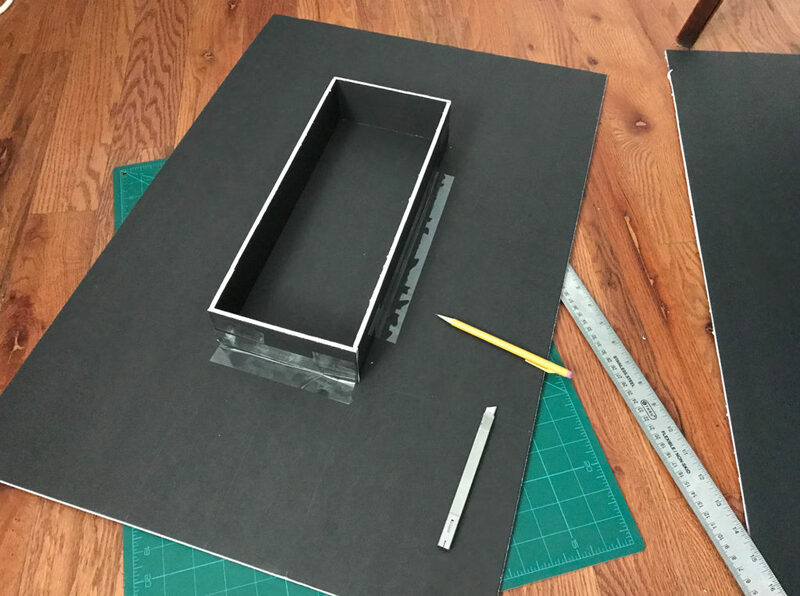 Check out this post on the many things you could make with your own laser cutter! 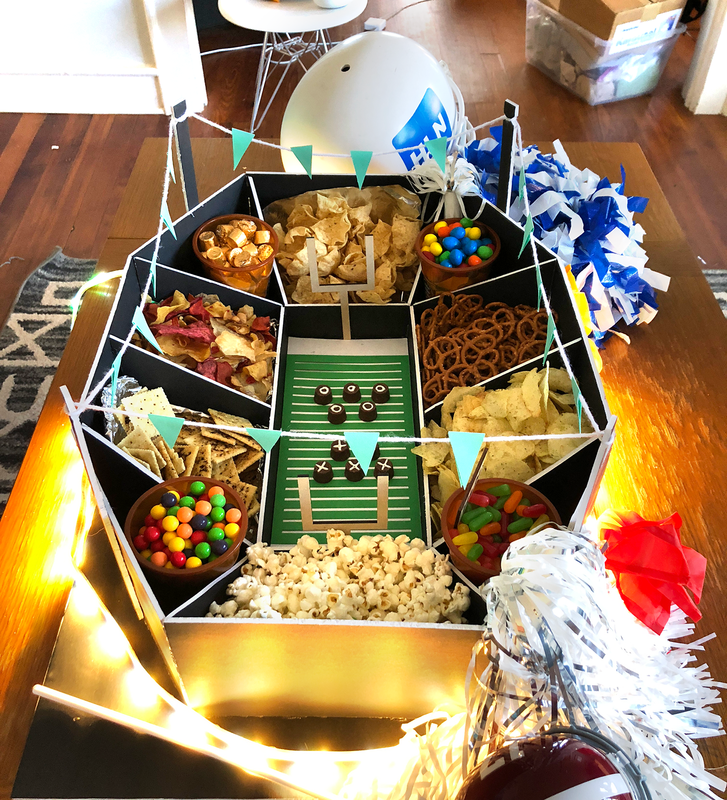 If you use this guide to make your own snack stadium, I’d love to see! I just added it to the blog post, thank you Allan!